WOW, this is a bargain for Wilmington! Very close to The Point at Barclay, Cameron Art Museum, Halyburton Park and NHRMC. 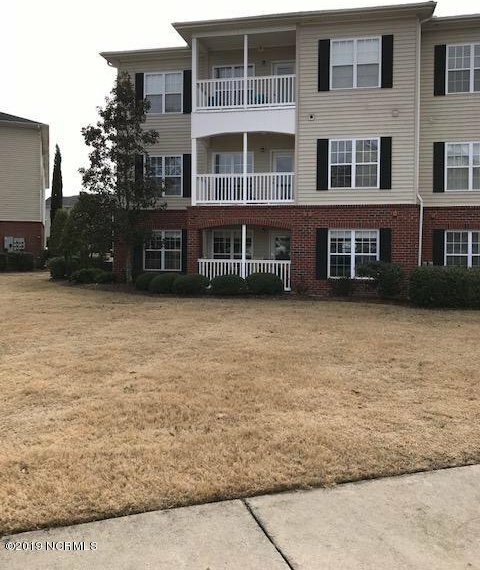 Beautifully maintained first floor end unit, three bedrooms and two full baths, with handicap wide doors and lever handles. Lovely hardwoods in the main living and dining areas, Corian countertops, a nice porch with retractable screen door to relax on. PLUS amazing amenities including a pool, tennis courts, basketball court, a movie theater, clubhouse with wireless cafe, picnic area, walking trail and a car care area just across the parking lot. Pictures coming soon, floor plan under documents. Listing courtesy of Henry & Company Real Estate. Selling Office: Keller Williams Realty.